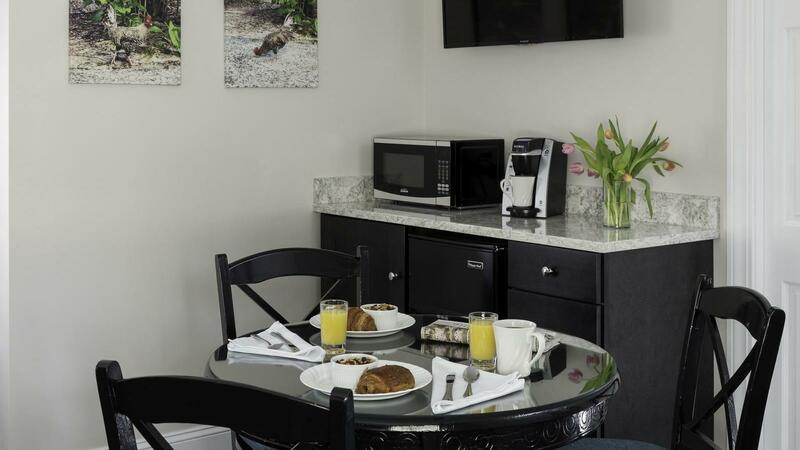 This modern cottage suite features two Queen beds, a sitting area and a luxury bath. 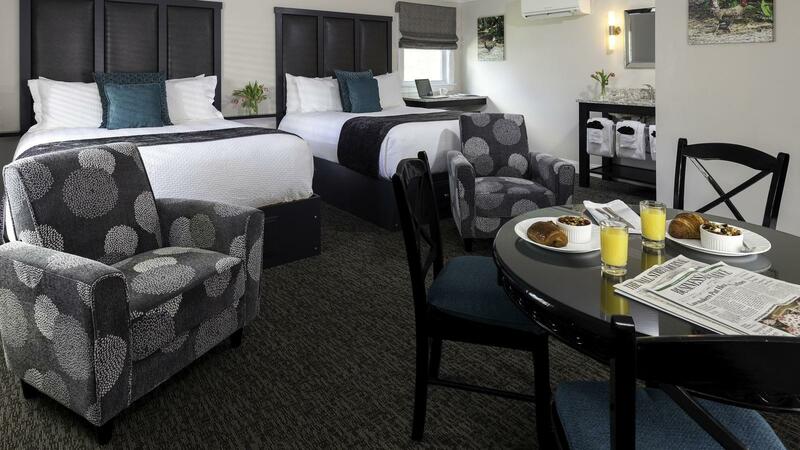 Sleep well in the custom beds with leather headboards or enjoy the flat panel TV from plush armchairs. A desk, a table and chairs and a quartz breakfast bar with a mini-fridge, a microwave and a Keurig coffee maker complete the living space. 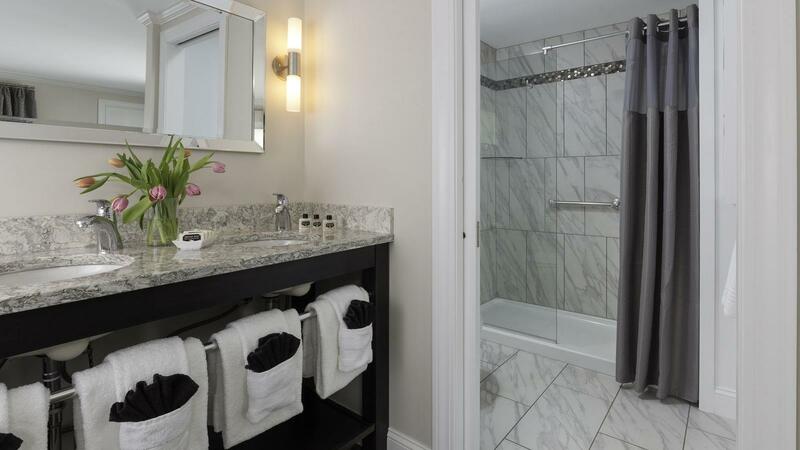 The marble tiled bathroom features a walk-in shower and ample storage while the spacious double vanity sits outside the door. Enjoy the ultimate in climate control with heating and cooling by Mitsubishi.